I was inspired to make Steak Bites after a meal that I ordered out recently. These cooked in cast iron Steak Bites did not disappoint!! 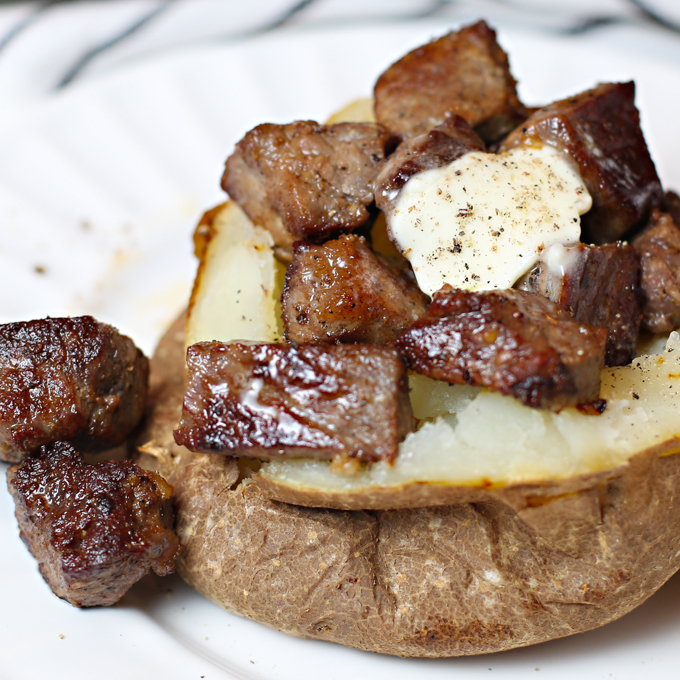 The Steak Bite Salad that I had at the restaurant was delicious, but right then I knew that tasty grilled Steak Bites would be better suited with a baked potato. 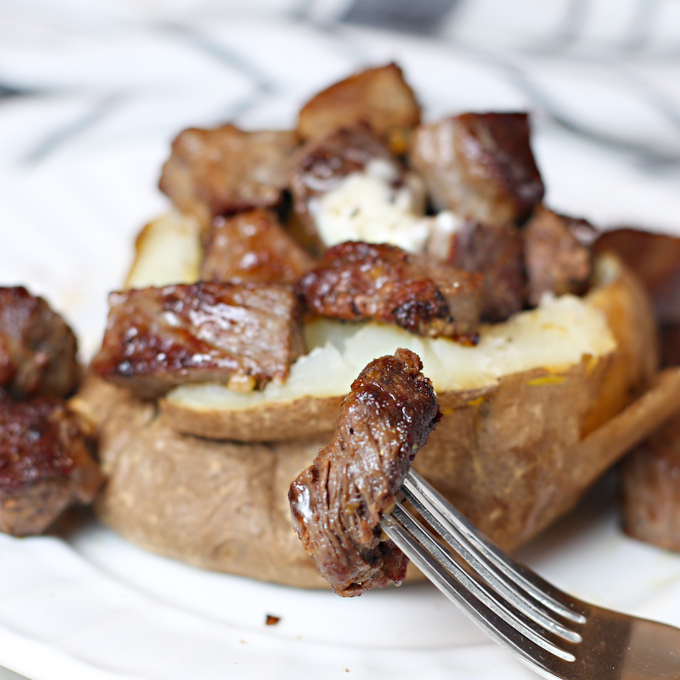 So simple, a tender baked potato topped with grilled Steak Bites, a big dollop of butter and some salt & pepper. This was dinner at it’s finest!! 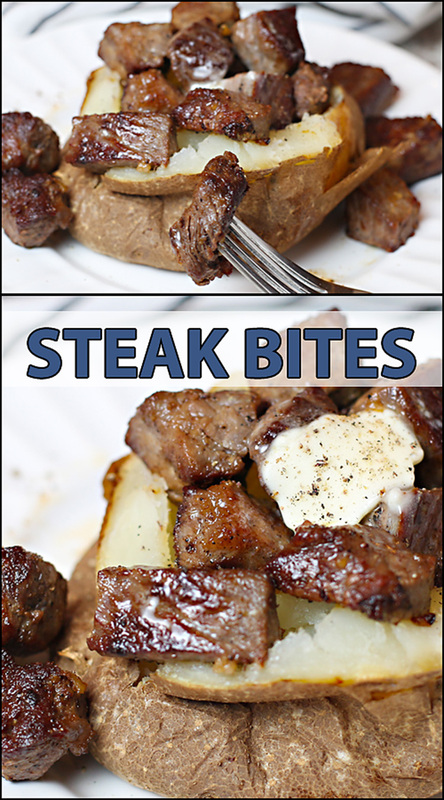 I mean, really, who doesn’t love steak and potatoes?? Making these tasty bites of steak was simple. It literally took minutes to cook these Steak Bites! A bit of clarified butter in a screaming hot cast iron pan, along with a little seasoning, is all you need to cook these to perfection!! My trick for some extra delicious flavor is fresh garlic! 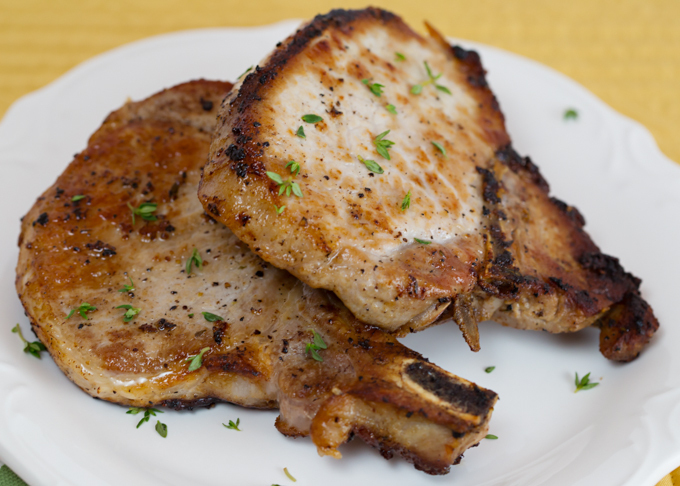 Once you finish cooking all the meat, toss some fresh crushed garlic into the pan for a quick few seconds. Add the meat back in and stir to coat it with all the butter & garlic goodness! To serve, prep your baked potato and scoop a big spoonful of hot Steak Bites on top, spoon some of the pan butter over the top, then add as much butter as you dare! Some salt and fresh cracked pepper and you’re ready to enjoy! Don’t you just want to grab a fork and taste one?? The only thing that could have made these better would have been a generous spoonful of sour cream. But, we were heading out of town the following day, so I didn’t think it was worth a last minute trip to the grocery store to get some (when I knew we wouldn’t be home to finish it). Yes, sour cream, and blue cheese. Fresh crumbled blue cheese!! Seriously, though, even without the extra toppings, these Steak Bites were absolutely perfect!! Just ask my husband! Have you all checked out Meal Plan Monday at Southern Plate yet? 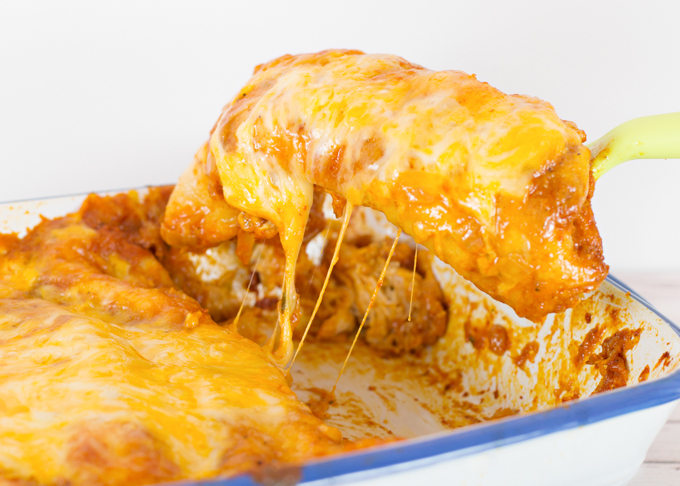 Dozens of recipes are posted weekly! It’s a great place to get some new dinner ideas! 2 TBSP Ghee (clarified butter) -or- 1 TBSP real butter and 1 TBSP olive oil (the addition of olive oil lets you maintain a higher heat without burning the butter). 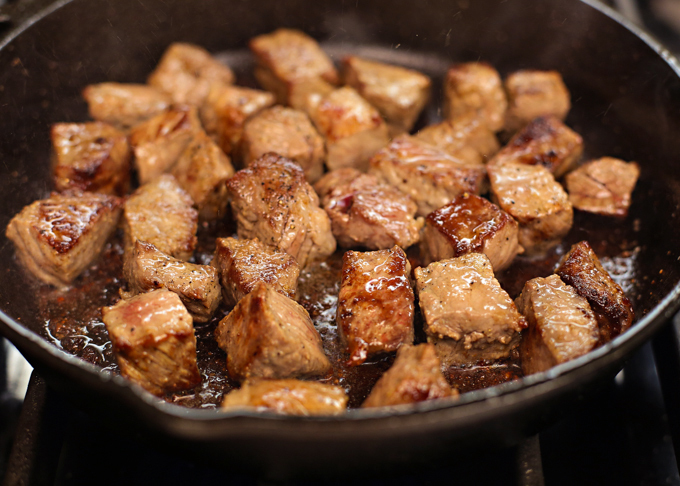 To prepare steak, trim off excess fat and cut into 1" cubes (bite sized). Mix together salt, pepper, & cumin. Season steak bites with salt mixture. Heat cast iron skillet over med/high (almost high) heat. Add Ghee (or butter/olive oil). When butter is melted, add steak bites. Once they are well seared (approx. 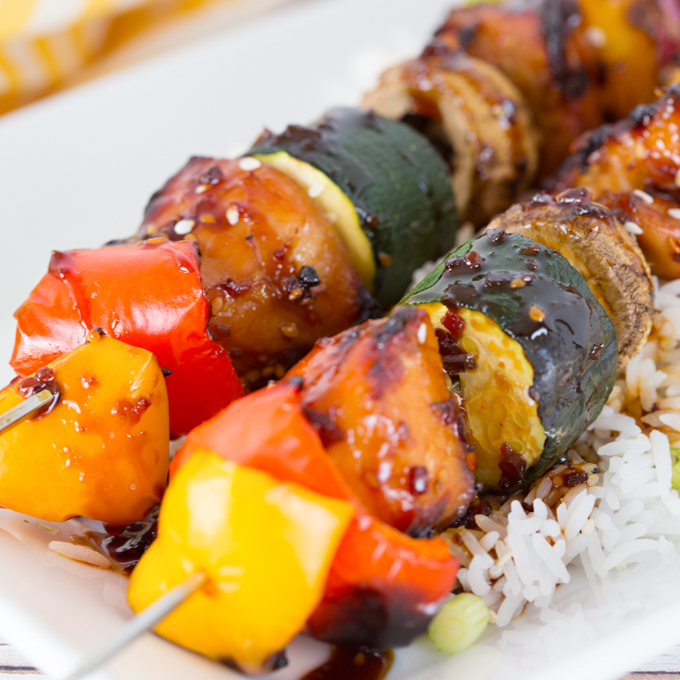 3 minutes), use tongs to turn and continue grilling. Total cooking time is quick! You want them well seared, hot, and cooked to your preference on the inside. **Cook in 2-3 batches depending on pan size. Cooking too many at a time will cause steak to steam, which you don't want. 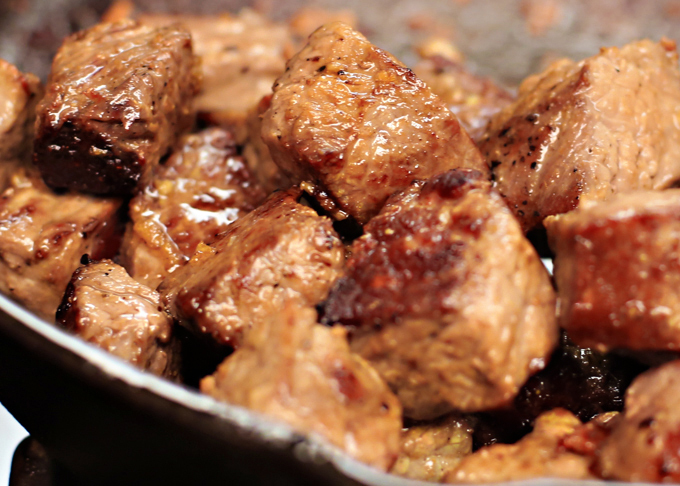 Remove cooked steak bites from pan and set aside. Reduce heat to med. Add the additional 2 TBSP butter or Ghee, add crushed garlic and stir into butter/drippings. Immediately add steak bites back to pan. Stir to coat steak bites with buttery garlic. 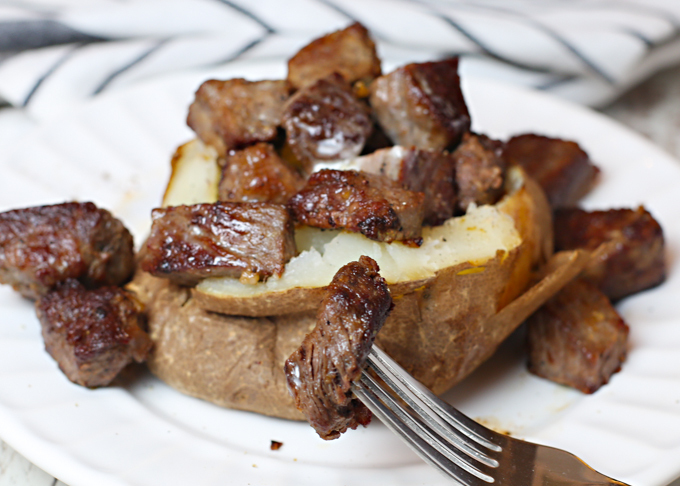 Serve over hot baked potato and enjoy! My husband is sitting next to me and he said to tell you thank you!! He is demanding I make this! 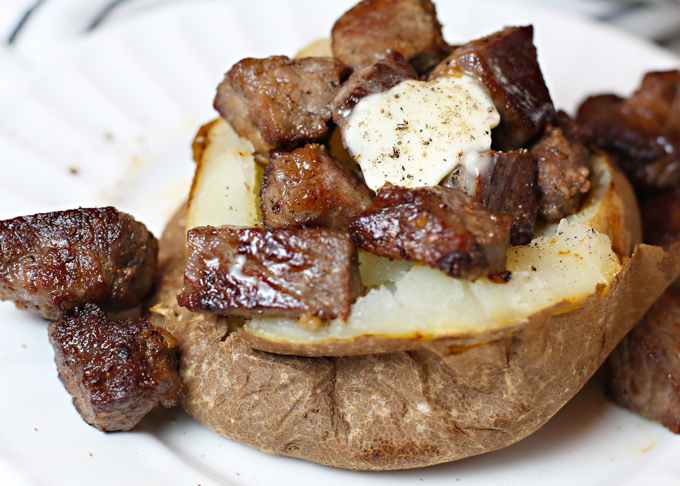 I made steak bites baked potatoes last night and they were delicious…coating the steak bites with melted butter and garlic, amazing! Thank you for an amazing recipe, will definitely make again.